Cellex-C Advanced-C Eye Toning Gel nourishes, tones, and lifts the skin around the eyes to reduce the signs of aging and provide a more vibrant, youthful appearance in under 8 weeks. A lightweight, oil-free formula that penetrates the skin of the eyes with active ingredients, Cellex-C Advanced-C Eye Toning Gel provides dramatic, visible anti-aging benefits after just 6 weeks of use. Cellex-C Advanced-C Eye Toning Gel lifts sagging skin, smoothes fine lines and wrinkles, and revives tired skin for an overall more lively and vibrant complexion. Cellex-C Advanced-C Eye Toning Gel is recommended for all skin types, tone, and conditions. The anti-aging eye treatment targets visible signs of aging in the eye area and works well for both men and women. The gentle formula will not irritate sensitive skin types. First, cleans your skin and apply your recommended Cellex-C toner. 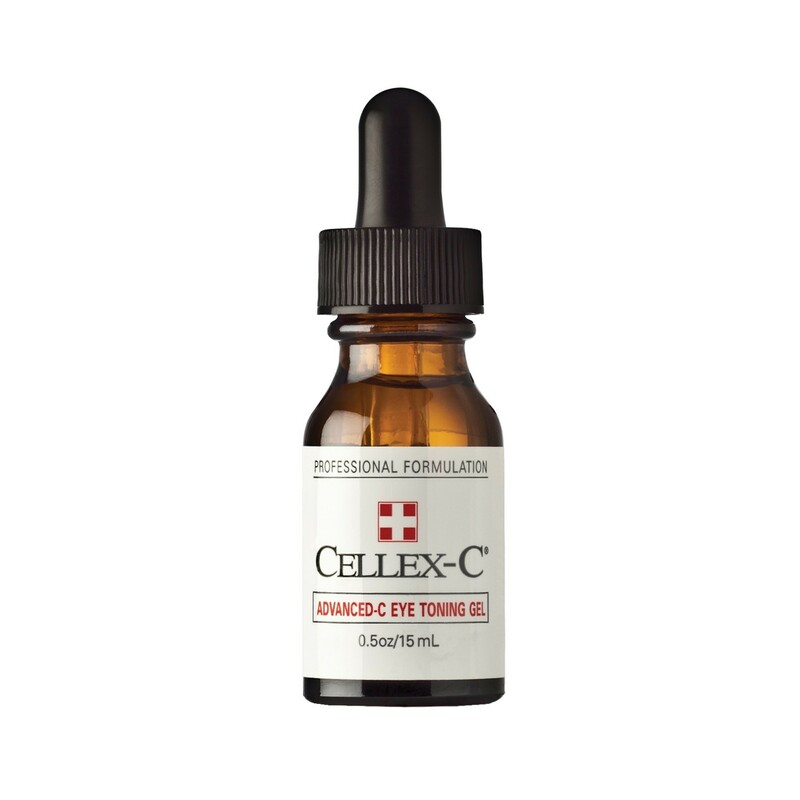 Then apply 1-2 drops of Cellex-C Advanced-C Eye Toning Gel to the skin under and around the eyes, avoiding contact with the upper eyelid and brows. Follow up with Cellex-C Advanced-C Serum all over the face, apply Skin Hydration Complex, and finish with a moisturizer. For best results, apply Cellex-C Advanced-C Eye Toning Gel once daily as part of your normal skin care routine.